Production AV are specialists at working alongside brands big and small to use our stunning indoor and outdoor LED screen range as well as our high quality projection to add excitement and engagement within the audience at product launches. However we also want to work closely with our clients to incorporate your brand and message professional and effectively within the event. 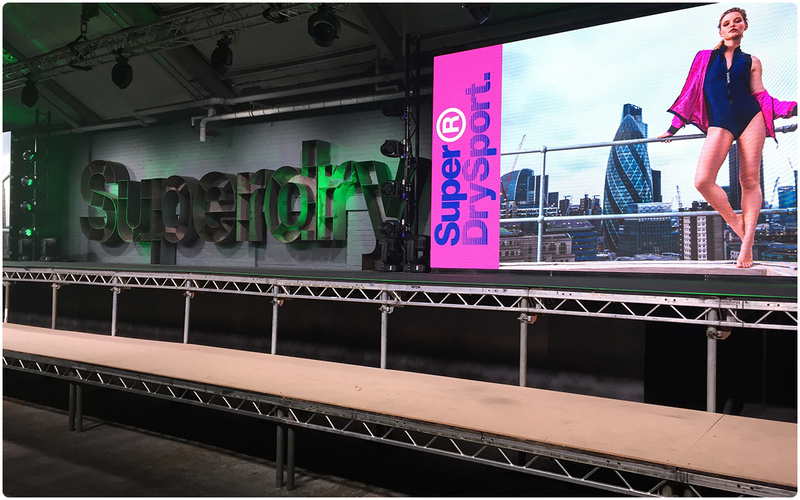 Our high definition, stunning indoor and outdoor LED screen range is the perfect centrepiece for an exciting product launch that will live long in the memory of the audience. These screens can be used to show videos, images and branding throughout the night but also can be utilized for presentations during the event to deliver messages with more impact. No matter how big or small of a screen, we will work to your desires and provide a quality solution within your budget. Using our selection of top of the range cameras, we can add that extra level of production as we have the capability to stream it to the LED screens as well as to the internet. We can also record the night to be used in a recap video or promotional material after the event. If you are interested in reading an in depth and technical explanation of one of our product launch AV solutions, follow the link below.